At IntraSee, for over a decade, we have been providing award-winning user experiences for both our higher education and commercial clients. This has included “one-stop shop” web sites, guided self-service, and mobile/responsive everything. By greatly improving the UX of our client’s Enterprise/Campus systems they have seen: lower calls to the help desk, better data quality, improved productivity, and a more satisfied user base. Meanwhile, information and data has kept growing at a frantic pace. According to studies by IDC, this growth is exponential, and by 2020 the amount of data we have in our enterprise systems will double what we have today! Even if all this data and information is on one well-organized web site, it is becoming overwhelming for the user, and every day it gets harder for them to find what they need. In 1989, Moviefone debuted and changed the way we expected to find real-time information about movies playing in a theater near us. You could call a phone number and use your keypad to interact with an automated computer voice to find movies near you. Up until this point, people had to find a current newspaper, locate the entertainment section by flicking through page after page, then scan the entire page looking for the theater and movie listings. Can you even imagine that today? I will tell you, today’s undergrads certainly can’t. Figure 1: The UX may have been bad but the movies were great! That newspaper pre-1989 is where we are today with campus systems (which, according to studies, are on average 13 years old). There is a lot of great information in your campus systems, but if students can’t find it then it may as well not exist. Moviefone’s success was merely a sign of things to come. A sign that having a conversation was more appealing than scanning a newspaper. And students today prefer one medium for having a conversation above all else: texting! Your Chatbot experience will be nothing like KramerBot! Students today are Digital Natives. They have been immersed in a hi-tech world their whole lives and expect to be able to use these technologies on campus. Just as they can’t conceive of those newspaper days, they won’t understand why they can’t just interact with your student system via conversational messaging, just like they do on the internet and with their friends. And on the internet, right now, they are using Chatbots to interact with many sites. Chatbots are the technology allowing students to have a conversation with your student systems. The chat interaction is certainly natural and appealing, but that is only half the story. A well-implemented Chatbot can be your super application. It is a master aggregator without the feeling of information overload. As Kramer would say, “why don’t you just tell me what movie you want to see?” Imagine some of the things students would ask your Chatbot. What were my grades last semester? What is the balance on my meal card? How much do I owe on my student account? I have moved off campus, can you update my address to 123 E Chalmers St? 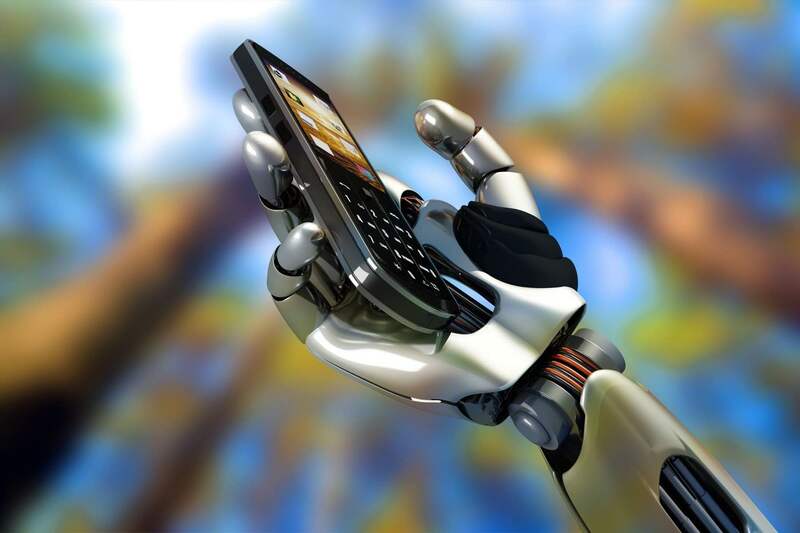 A Chatbot also allows device independence. You can start a conversation on your phone, but then finish it on your laptop or even in a computer lab. That is something a student expects today. While Chatbots can be good news for the students and faculty, they also present an opportunity for the institution. What are the ROI possibilities? As we discussed in our post, There’s gold in them thar hills, the savings a good user experience brings can be significant. The common consensus on AI is that if you were spending money on it three years ago you were wasting your money. But if you are now waiting three years before you plan to spend money on it then you will be woefully behind everyone else and will never be able to catch up. Now is the time to spend on AI. And, let’s face it, your current student body will almost all be gone in three years and they want this now. The great news is that being on PeopleSoft doesn’t prevent you from implementing a Chatbot solution now. So don’t fall into the trap of using that as an excuse for doing nothing. The interface of tomorrow won’t be a web page. So be prepared, and get a jump start on your own Chatbot implementation with our Chatbot Pilot program, by contacting us below to learn more.